RAK #56 – We attended the Colorado Rockies & Arizona Diamondbacks Spring Training game at Salt River Fields at Talking Stick (whew! ), and as we entered the stadium, my son passed out multiple RAK Notes and candy to the staff taking tickets, checking bags, and working security.Â They all loved it. RAK #55 – we stopped by a local store to buy the M&M candy…which was a chore. I had no idea how difficult it would be to find the small, individually-wrapped packets of M&Ms.Â Seriously. They were nowhere to be found.Â Sure, I could buy just a big individual bag and pour them out into the unsuspecting hands of my RAK targets, but that could get messy quickly.Â And I looked at other options – KitKat, Hersheys, Reeses – but nothing quite works as well as the M&M packets.Â But really, it just comes down to me being unbelievably stubborn. After three stops, I FINALLY found these at Bashas’ Grocery.Â As I checked out at the register, I opened the candy and passed them out to employees, along with RAK Notes.Â They all really enjoyed it, and I now had my sugary goodwill to go along with my notes. Huzzah! RAKproject – on the road again! RAK #53 – this morning, I hit the Starbucks drive-thru.Â Shockingly, there was no one behind me in line…not sure I have ever seen that!Â But I gave the employee working the window a RAK Note and candy. Great start to the day! They were unable to thank them in person, however, as the couple quickly left the restaurant after setting up the payment. The Redditor already has an idea of how they’ll pay the kindness forward. ‘Probably going to do the same for a happy looking couple next Vtines day,’ gnomiegnomie wrote. 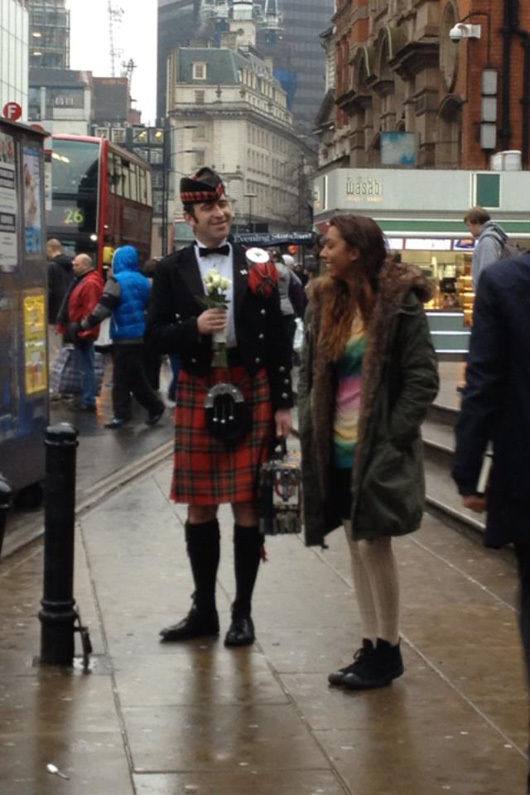 On Valentine’s Day, 2013, a group of well-meaning people did something so sweet for strangers they met on the street. They handed out small bouquets of flowers to people they didn’t know, just so their day would be better.Â Many people were unaccustomed to such acts of kindness so they weren’t sure how to react. RAK #52 – RAK Notes for TSA staff (again). And we’re done in Orlando! RAK #52 – so here we were, at the end of our trip, with just a handful of RAK Notes left.Â We gave the rest of them to the TSA staff – some inspiring thoughts that would (hopefully) brighten up someone’s day. And we are OUT! DONE! FINI!